Hello! Wow we are having beautiful weather out here in the Pacific Northwest! Makes it hard to stay inside to work on my blog post! How about you? 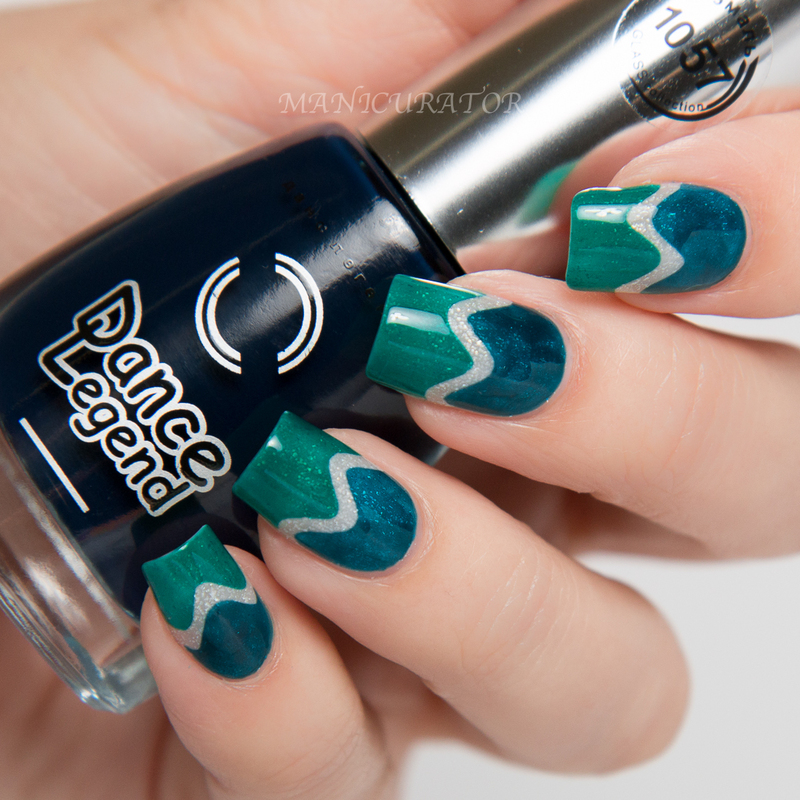 Yesterday I showed you three pretties from the Anna Gorelova Dance Legend collection and today's nail art uses two of the Glass shades combined on a base of one of the shades from yesterday! Made a perfect trio! 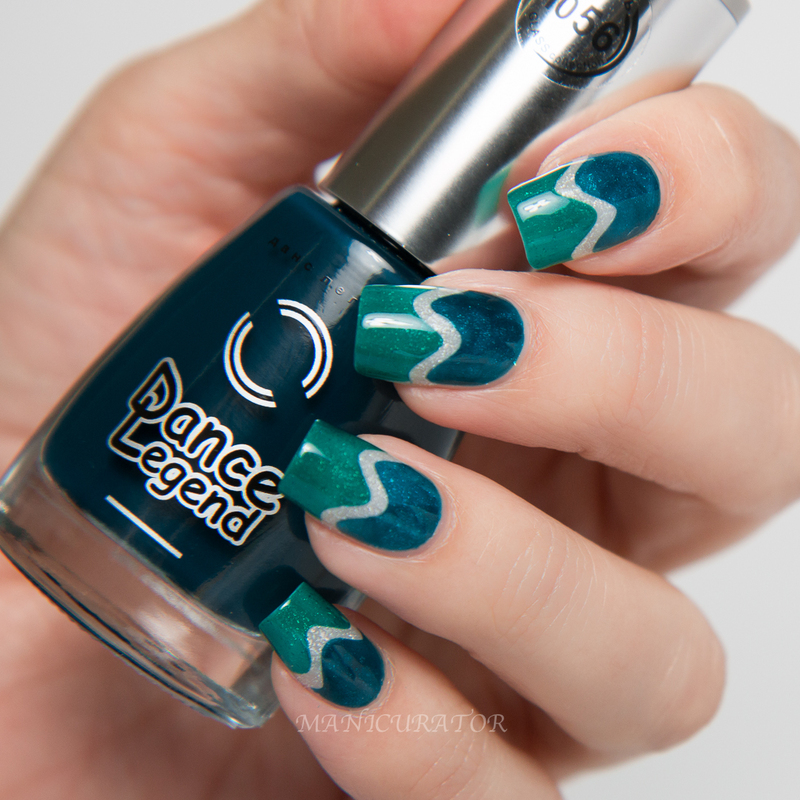 Dance Legend Enamel Glass 1057 - a blue teal highly pigmented jelly. 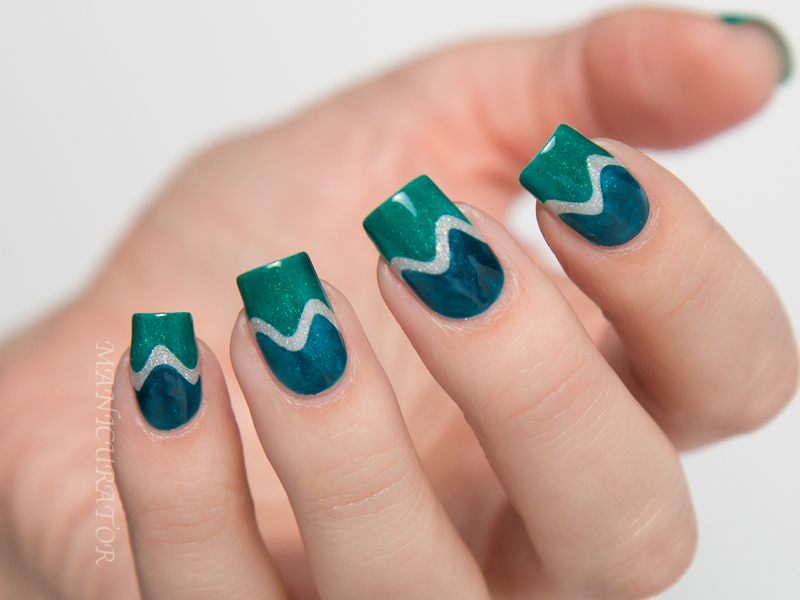 When I saw these two shades swatched all I could think of was tropical waters so of course I created a design with a simple wave. 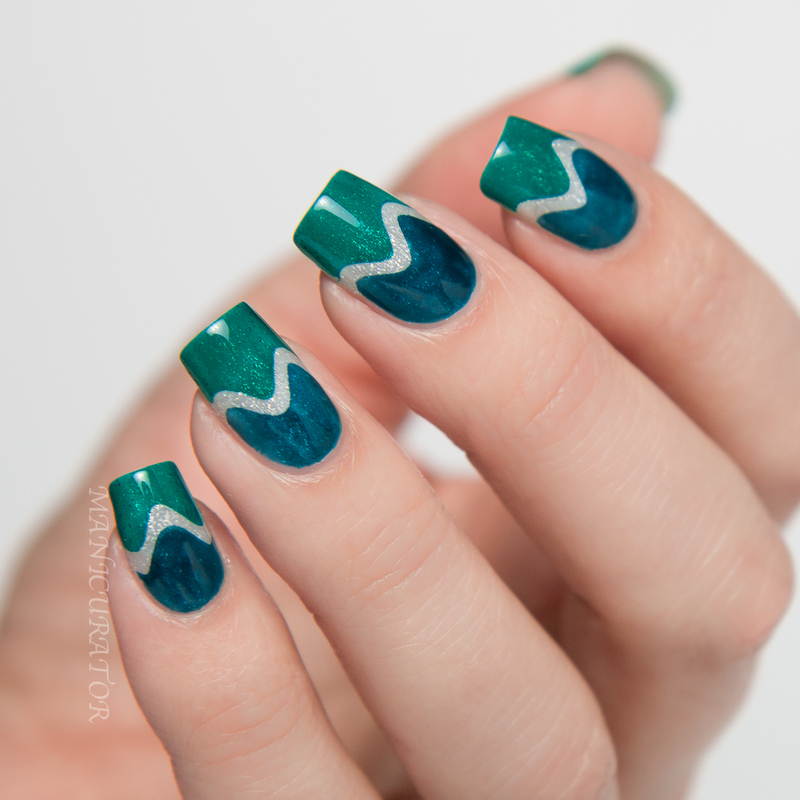 I have 3 coats of Dance Legend Snow Maiden that had fully dried, then I used KBShimmer Nail Vinyls for the wave and 2 coats of each Glass shade. They have a great formula and went on easily, still some transparency with 2 coats so you can see the glitter and holo bits from the base shade. They have a super, glassy finish but I top coated to smooth out where the vinyl had been and the top coat did diminish the holo of Snow Maiden. I do love this simple look though! Product(s) provided for unbiased review consideration. Gorgeous look! 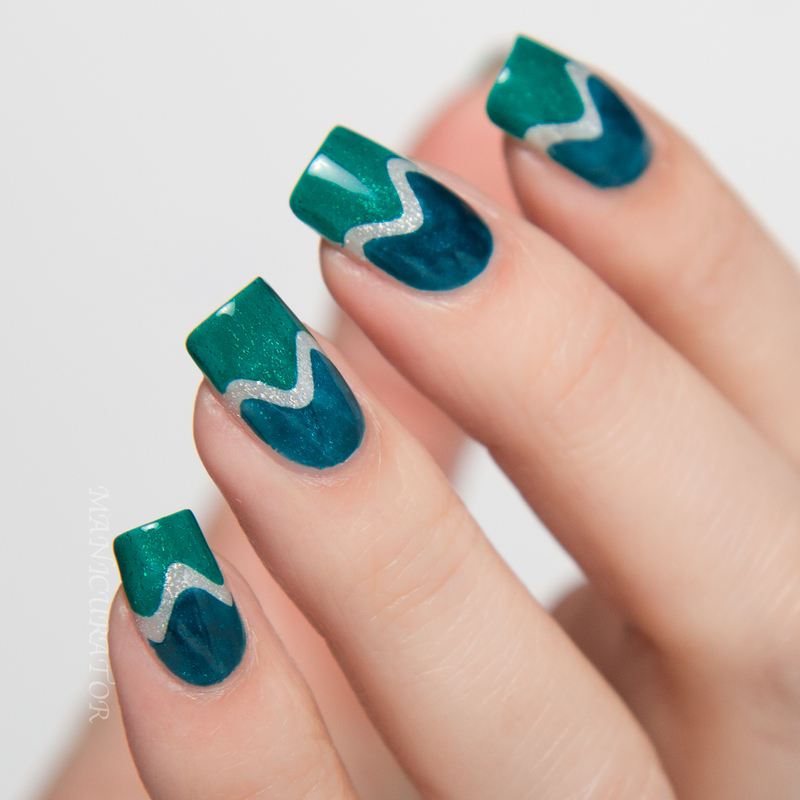 I swatched some DL Glass shades last week and on their own I wasn't convinced since I had VNL after 3 coats so I figured they would work better for nail art and I can see the do! 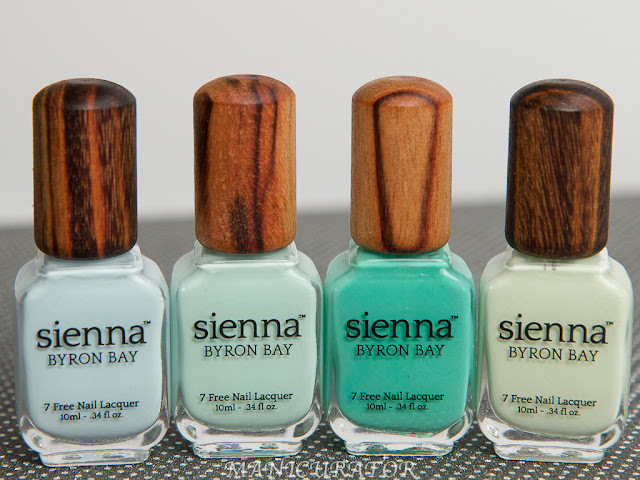 These came out gorgeous and I love that you can see the base through them! 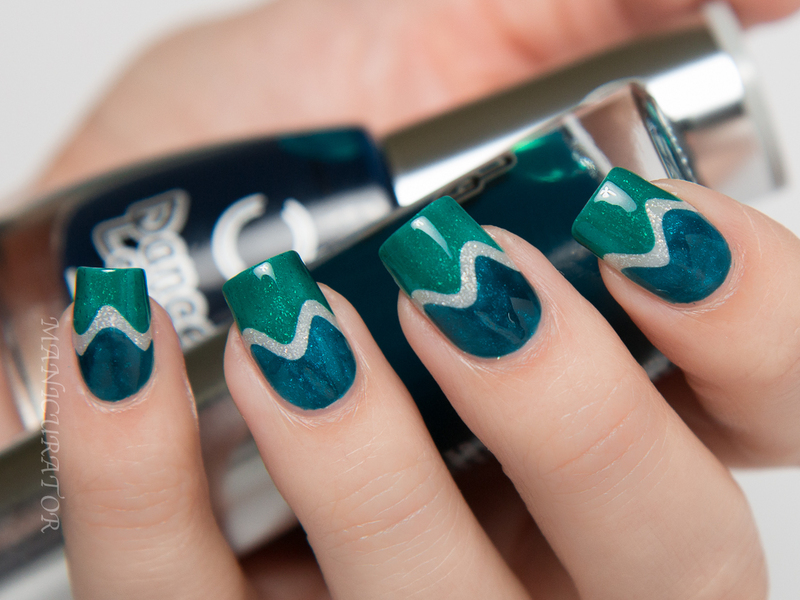 Simple mani with a very cool looking effect! I'm so in love with these!!! Gorgeous!! 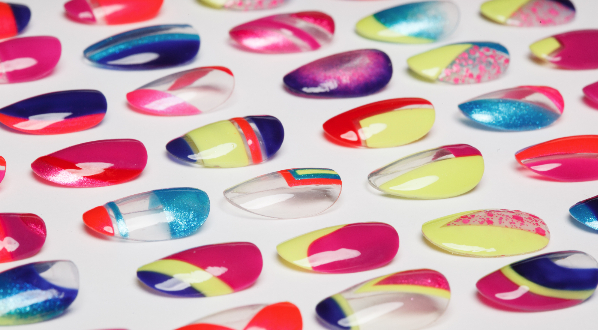 They are beautiful and look terrific in the nail art! !